It’s up to parents to pick which products will really help them and their precious babies and which are not needed at all. Mothers all over the world have shared their experience and knowledge on which baby products are most over-used. 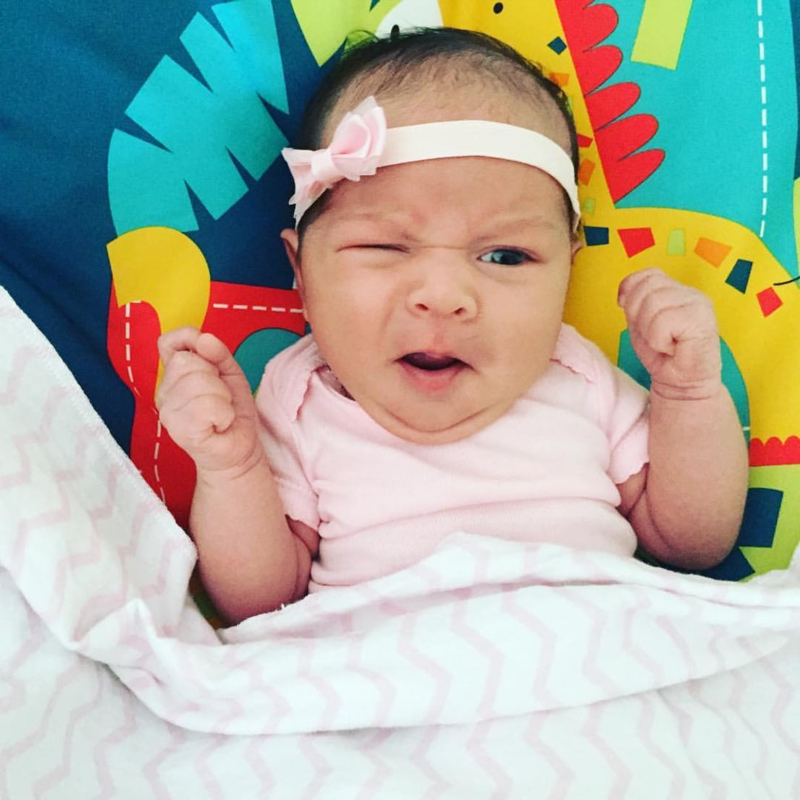 Below are the 20 most overused baby products. 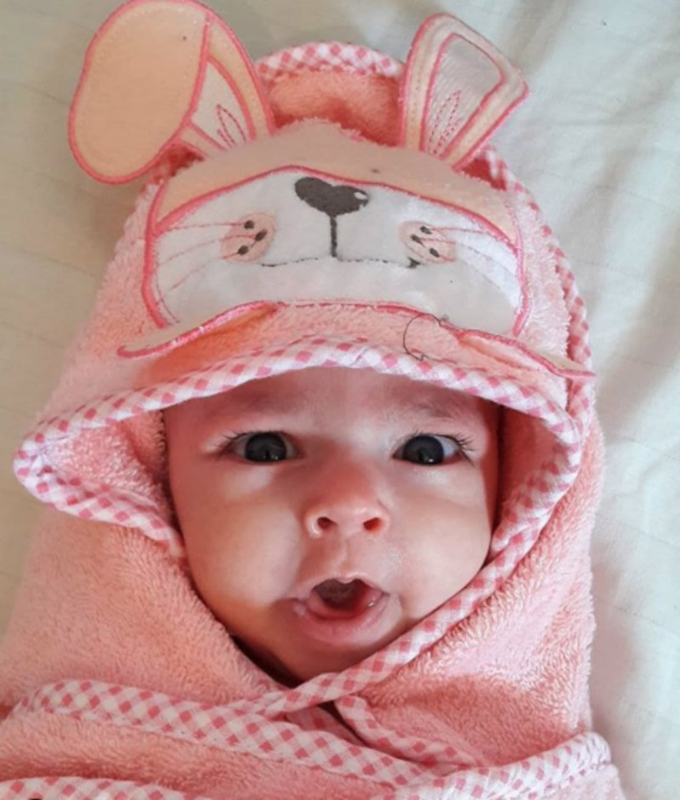 It can be hard to navigate: You may find it important to incorporate a bedtime or daily ritual involving the baby bath time. But the skin of babies and young kids just doesn’t need to be sudsed and scrubbed (and if you think about it, does your skin really need so many products and to be sudsed and scrubbed so many times throughout the day or week?). Talk you your own pediatrician to form a good hygiene game plan, but the truth is, less can be so much more when it comes to baby washing. Many moms choose to go with a warm-water rinse down, only incorporating baby was when it really seems necessary (we’re looking at you, baby oatmeal all up in the hair…). I am a huge fan of those trendy baby moccasins just like everybody else. As far as those first shoes for walking, they turned out to be great — and even my preschooler still loves to wear a pair in a bigger size when she’s feeling particularly princess-y, as they have sort of a delicate ballet-shoe feel to them, what with the soft leather and all. 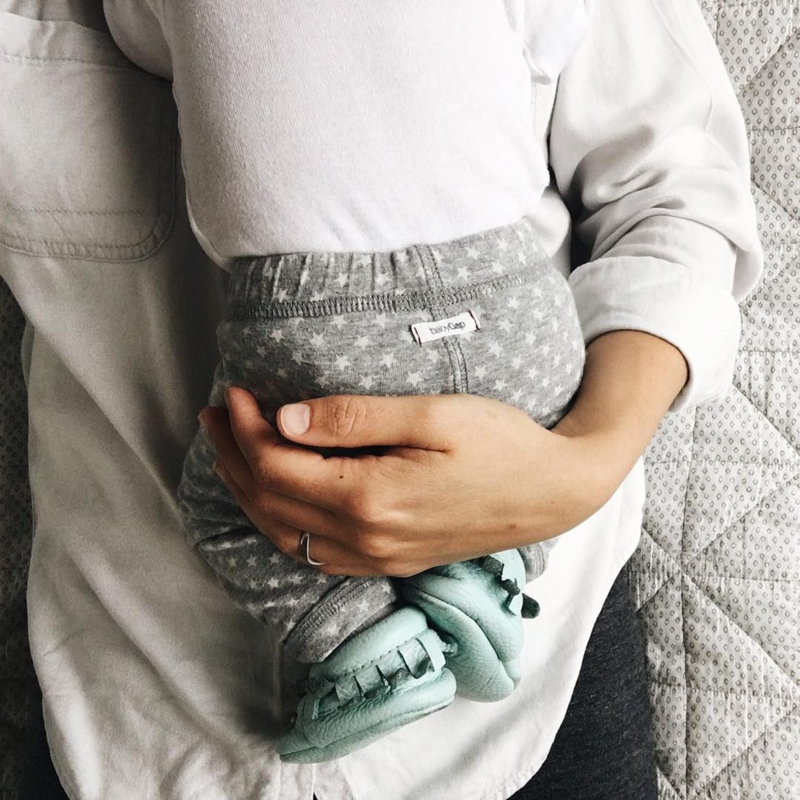 But need you spend the better part of a hundred bucks on a pair of suede moccs for your little love — before they can even do anything other than lie down in their bassinet or buggy? Um, no. And in fact, they will probably be more comfortable with just a pair of socks, or a footed set of jammies. When I first saw moms adorning their babies and toddlers with amber teething necklaces, I’m sorry, but I did have to pause. So much of my life as a new mom was spent making sure there were no hazards around my little ones, which meant paying very close attention to things with small parts, things that can easily wrap and tangle around other things… And believe me: it’s important! And yet those strands of amber beads were being clasped around baby’s neck right and left. I looked it up to research this article, and Parents.com has an entire article about such potential problems. 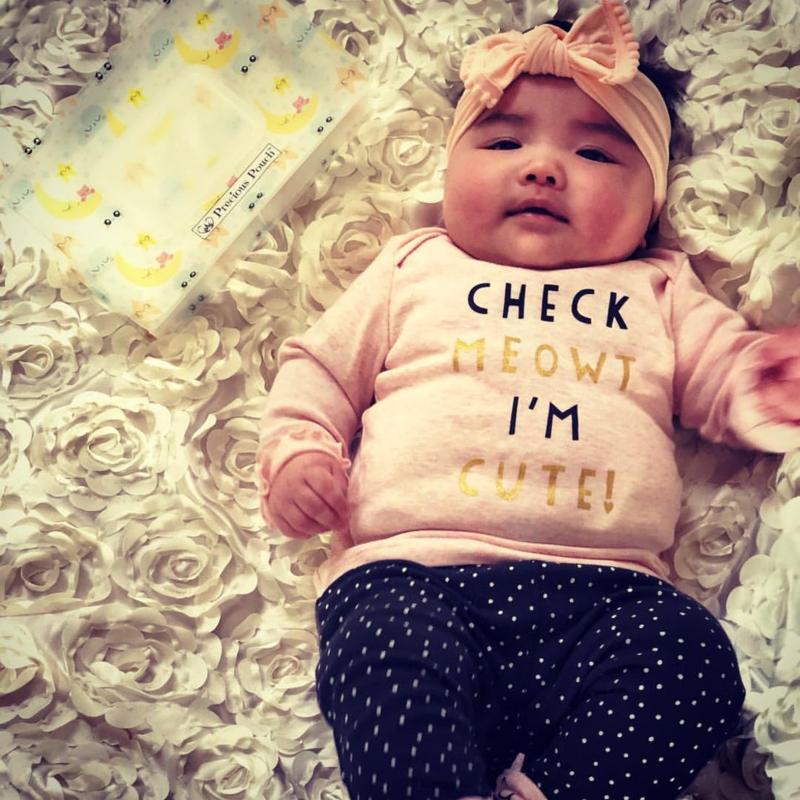 With your family’s pediatrician as your guide—and, quite importantly, your common sense—you need to craft a careful and smart strategy for keeping your own baby safe. But as a mom to a 4-year-old and a 2-year-old, I’ve come to believe for certain that baby gates can tend to be really quite overused. 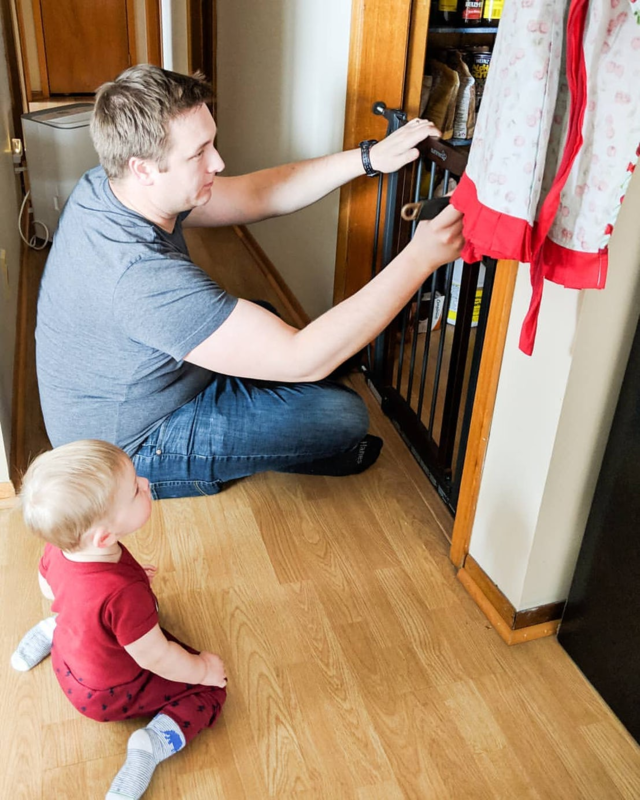 They can serve important purposes, such as blocking off the stairs or keeping a crawler out of the kitchen when the oven will be opened and shut repeatedly, but if babies and young kids are always confined and blocked off from hazards, when will parents ever get the opportunity to teach and guide them about how to safely navigate the real world? 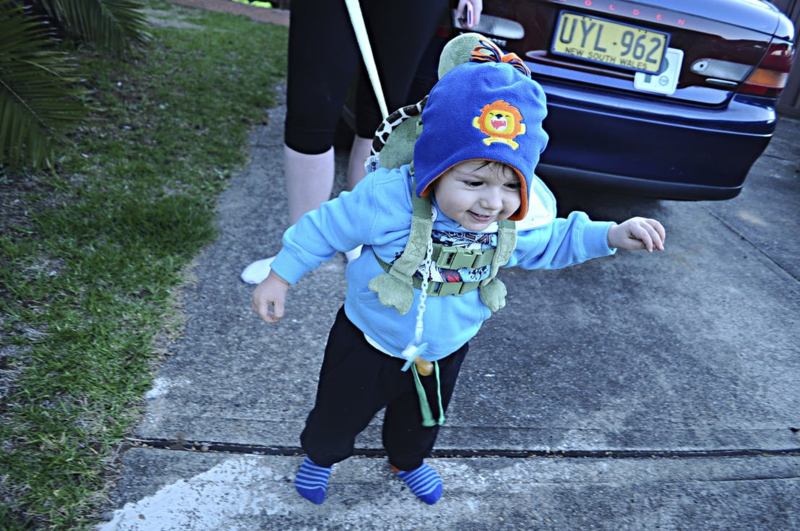 Sites including Parents.com and Mother.ly (and more) have pages entirely devoted to the importance of encouraging independent play in babies and young children. And if you think about it, doesn’t it really make sense? There is such a real value to having just some time with the self, allowing a young mind to navigate the simpler sensory experiences, to form associations, to react, to cause, and witness effects. Think of stacking a tower of wooden blocks, or looking out at the trees swaying in the breeze. 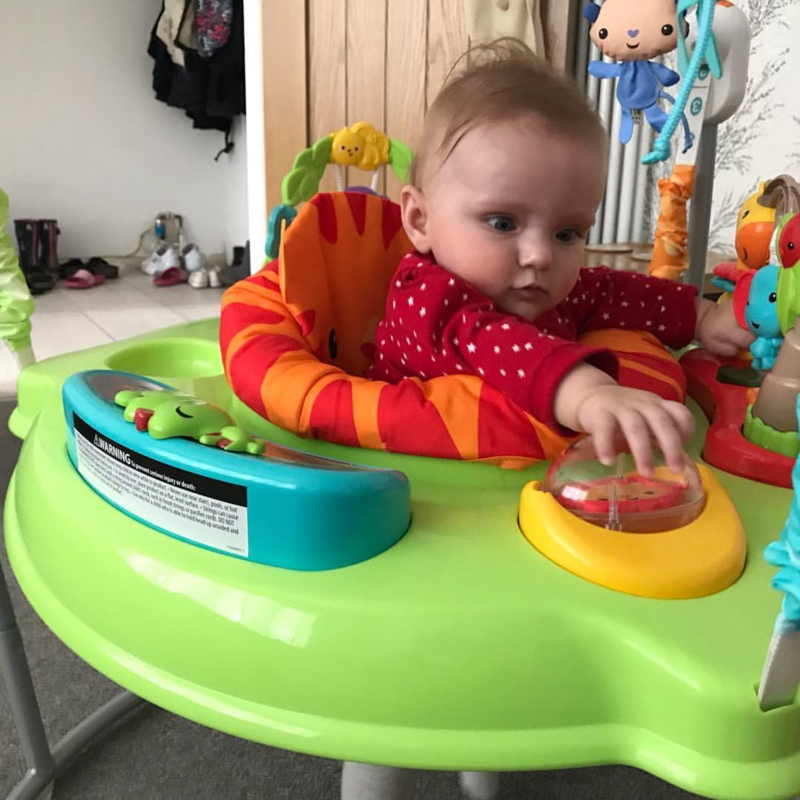 Having too many noisy and high-tech toys around may leave little room for this type of experience, and be far too stimulating and noisy (for the parents, too). The travel stroller. The umbrella stroller. The baby bassinet. The jogging stroller. The city stroller. 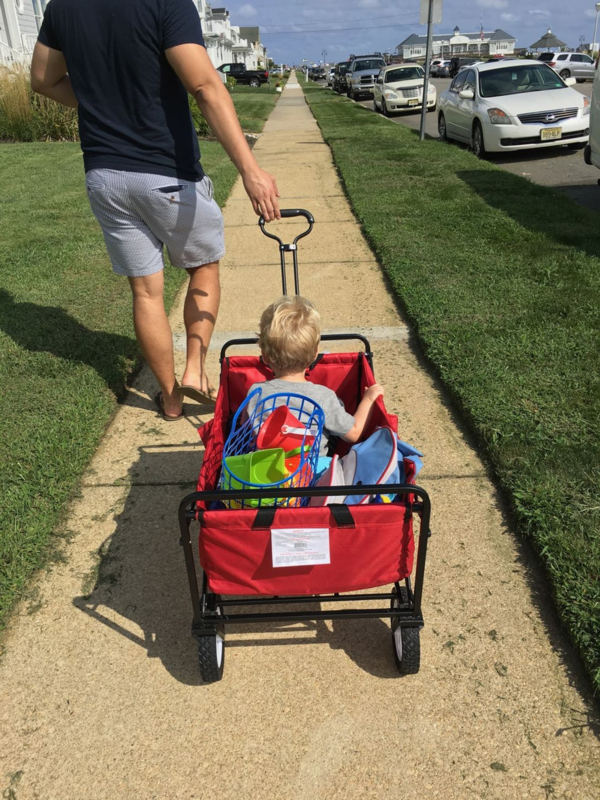 Some have bicycle tires, some hard plastic… There are so, so many options, and most of them cost a pretty penny — and they can all be quite tempting to new parents for various reasons, mostly revolving around having something to cart kid and stuff out and about in the world. But what I’ve witnessed around me is parents going kind of closed-mindedly for the sole-purpose stroller. 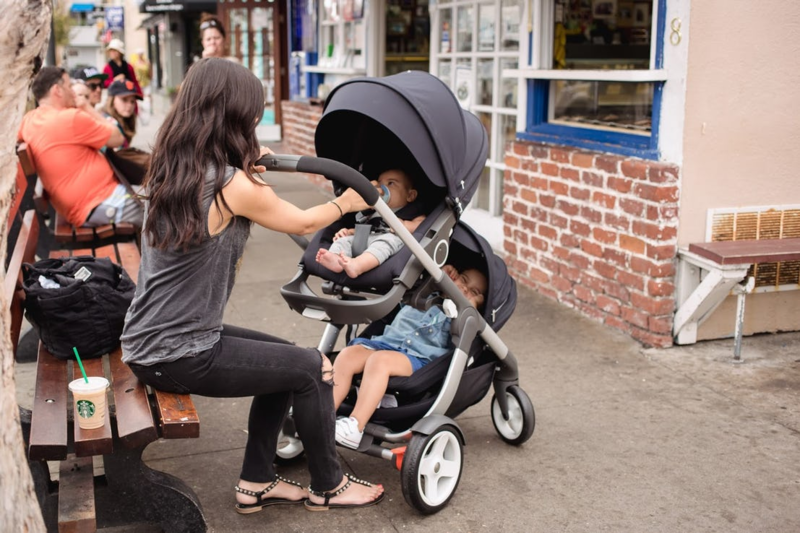 Here’s what I mean, instead of purchasing the trendy bassinet that won’t last beyond the newborn times, or the stroller that will work for shopping but not much else, consider investing only in one stroller that will fit a handful of needs in your parental life. I’d recommend the jogging stroller into which you can click your infant car seat, which will grow with your child. 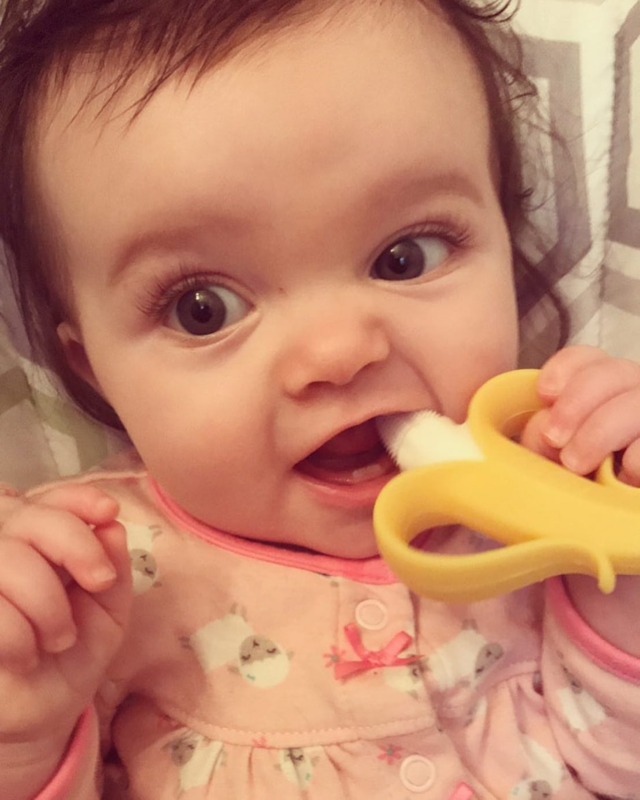 Raise your hand if you’ve ever met a new baby who doesn’t have one of these rubber banana teethers — anyone? Anyone? That’s what I thought. 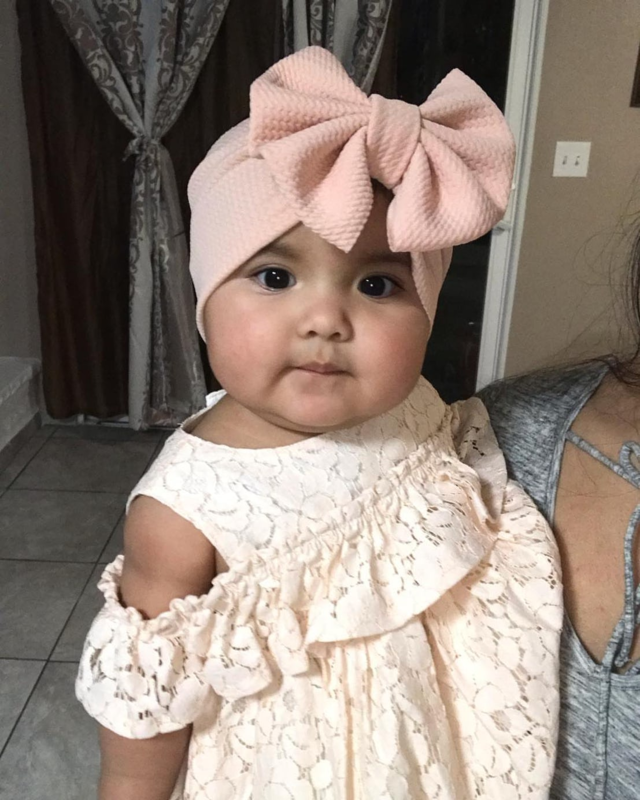 They are sold for not TOO much money in drugstores, online, and in baby boutiques, and they have a cute shape and a bright yellow color that catches those parental eyes real quick. In recent years, there seems to have been a redesign, with shorter rubber nubs protruding off the banana rather than toothbrush-like rubber bristles. I’d guess it’s because those bristles start to break and fall off faster than you can say “happy 6-month birthday,” which can be not only messy but also concerning. And believe me, so much of a new parent’s life is about, some way, somehow, coaching their baby to be able to do the sleep thing on her own. “Studies have shown that infant sleep training methods known as ‘controlled comforting’ and ‘camping out’ improve infant sleep,” says the AAP these days. 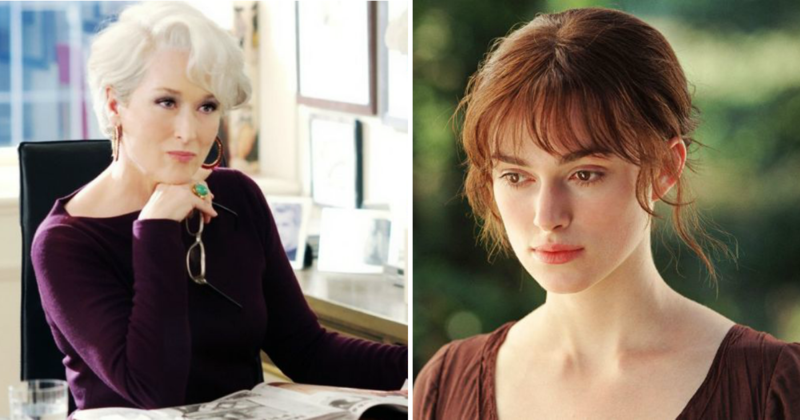 Basically, it’s mindfully setting up healthy sleep habits as a foundation for the rest of life. 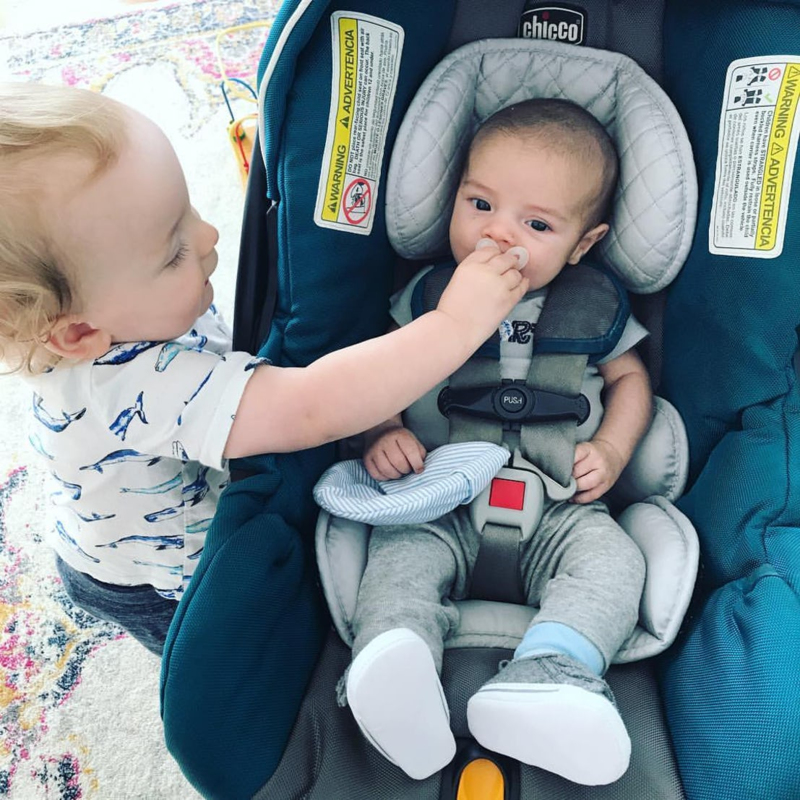 Parents.com, BabyCenter.com, and more all touch on the problems that can result when babies spend too much time strapped into car seats. Once you are actually a parent to a baby or young child, I think it should all be pretty clear. Little ones need to be free to move and explore and develop what they can do with those brand-new little minds and bodies. And so, while car seats are a must for safe auto travel and can be convenient, things like napping and awake time should be done in other places — just check with your own family’s doctor if you have any questions or concerns about the amount of time baby spends in one of those things. My nursing chair is my prized possession. 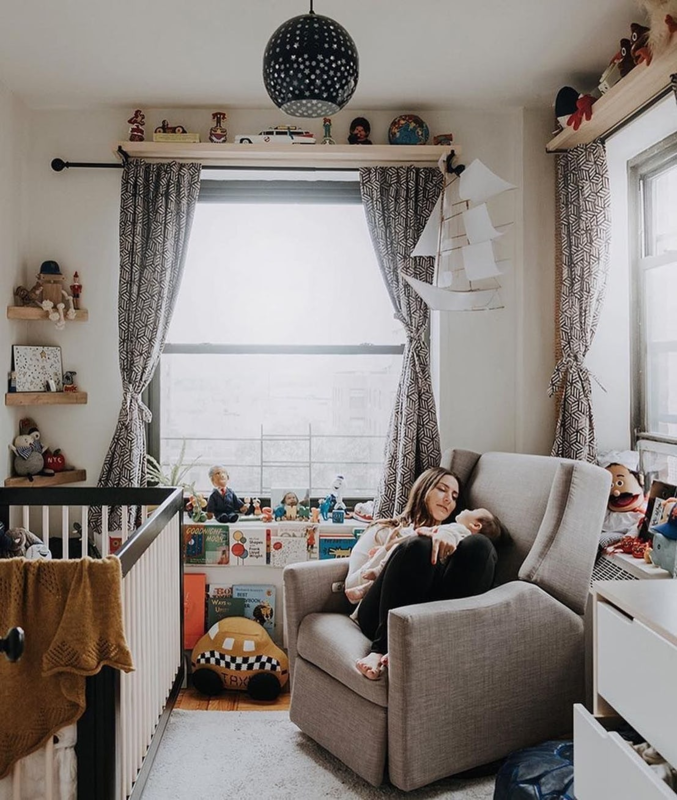 I picked it out carefully to be a place I could comfortably breastfeed my baby, and read stories to my little ones many times throughout the day, or just sit and cuddle for a bit. But what ends up happening sometimes is that parents aren’t using the chair as a step toward actually getting everybody to bed. 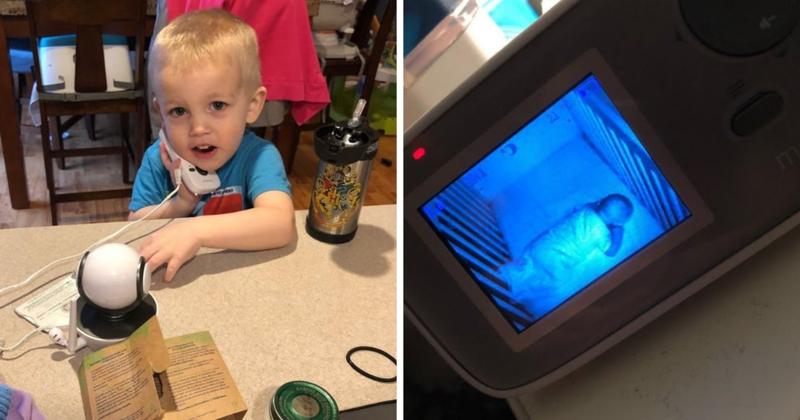 They actually end up sleeping in it — as in they are too scared to move and put the baby down in the crib or bassinet, and so never make that important leap. Similarly, it would be a tragedy if new mothers only felt comfortable nursing in the chair and didn’t attempt different positions and hold, such as side-lying to get some cuddly rest at the same time. Is it to scream “my baby is a girl!” to all those grannies saying “he” instead of “she” in the grocery store? Is it, like, a status thing? 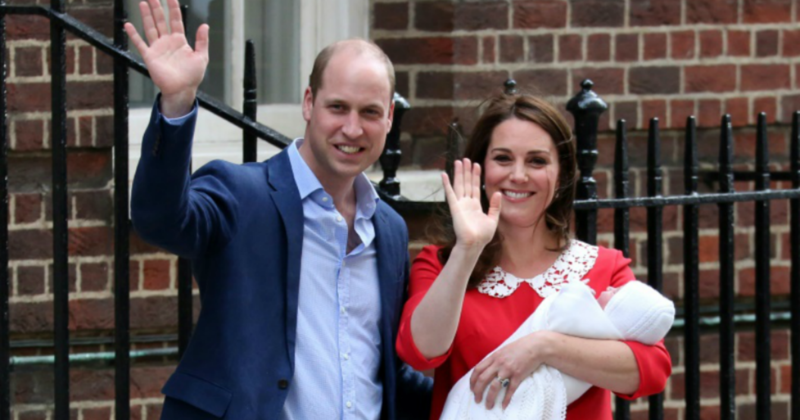 Like the baby with the biggest and most garish bow reigns supreme? Man, technology can be really helpful. I’ve written before and will write again how grateful I am to be a new mom in the age of the iPhone, in which I can order more diapers or a bigger size of footed jammies from the comfort of my nursing chair, while nursing. But someone explain to me the need for all these high-tech video baby monitors. I mean, if it’s what you feel you need to parent safely and happily, then okay, live your life. But isn’t the point of not being IN the room watching the baby that you are having a break and knowing that your kiddo is safely snoozing in their crib? Maybe I just don’t get it because there is no way I couldn’t hear even the smallest sound from my little ones even if I was at the farthest corner of the house. Does everyone live in multi-wing mansions? Is that why? It is so easy to slip into the constant and daily habit of comparing yourself, your home, your kids, your life… to everyone else’s. Thanks, social media and the Internet. While it can surely be argued that this modern life of screens has some definite perks and advantages, it also leads to overly relying on what some website or app tells you is normal and appropriate. When I first started tuning into baby things and parenting habits, the Smartphone was well established, and most moms I met mentioned subscribing to the BabyCenter emails. Even pregnancy symptoms and progress can be cataloged and charted in an app at your fingertips. While these platforms might be tempting or even reassuring, let us not forget about our instincts, our doctor’s professional opinion and advice, and actually living in the moment that is unfolding before us. They can irritate a baby’s sensitive skin. They fill up diaper pails and wastebaskets each day, and then they go to the landfill… They’re kind of expensive! They are pre-moistened baby wipes, and can I just say I totally get why these bad boys are so, way, incredibly overused? Like, what else are you supposed to do? Keep a roll of toilet paper at the changing station instead? (Hm, maybe! Although that wouldn’t always sufficiently complete the messy job at hand…). You can’t always take your baby to the tub for a rinse, and the practical details of actually obtaining, wetting, using, and (this is the big one) laundering a fabric washcloth for the cleanup are almost too much to even think about. Hm, this one’s a thinker, to be sure… A baby bidet?! It can be so tempting to feel like because there is a special “baby” version of a product available, you should probably be buying it for your little one, just like everyone else. 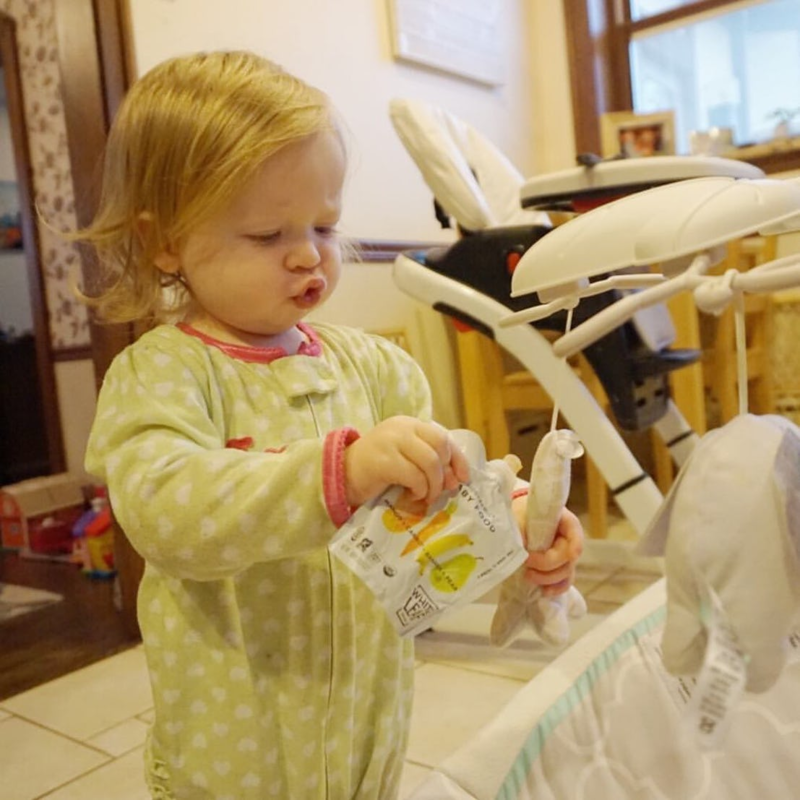 From lotion to brushes to breakfast foods, baby wash, and beyond, they know that if there is a (pricey) “baby” version of something, moms will feel like they need it and it’s worth every penny. And so it goes with those Gerber and other cereal puffs, which contain sugar and sweeteners, and some amount of grain, and then, basically, preservatives and air. Moms may feel they need a special “baby” finger food, and then forget to focus on offering, well, real food (in small and gum-able pieces). TheBump.com—as well as various gov sites (and your baby’s doctor)—have tips for introducing baby to “real” foods. Oh, man, this one really got me when I was pregnant with my first a handful of years ago. See, all the pictures of nurseries on retailers’ websites and social media, alike, still featured that old décor standby, the mobile. 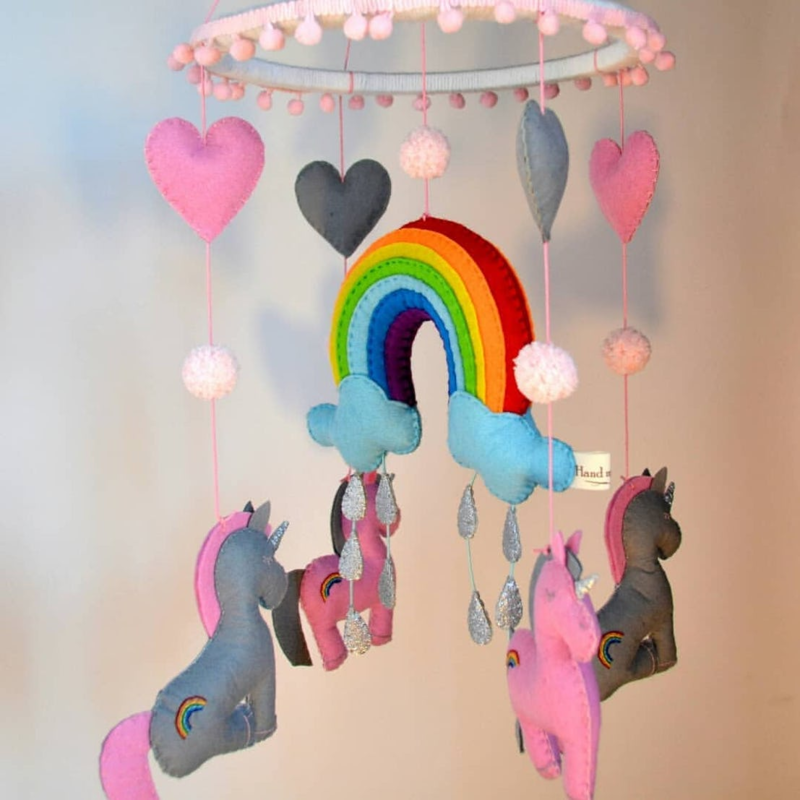 You know those things that you hang above the crib so that little woodland critters or unicorns or something dance and twirl around above the little one while she rests. The problem? Movement and noise (many of them are musical) are not what you want at bedtime. And when bedtime is done, you want the baby out of the crib, so the crib will be associated with sleep. And then fast-forward a few months, and they can stand and reach and grab, making a hanging toy a potential danger. Yep, I did feel we really needed that $50 mobile, which quickly got shoved in the closet (see the entry above). 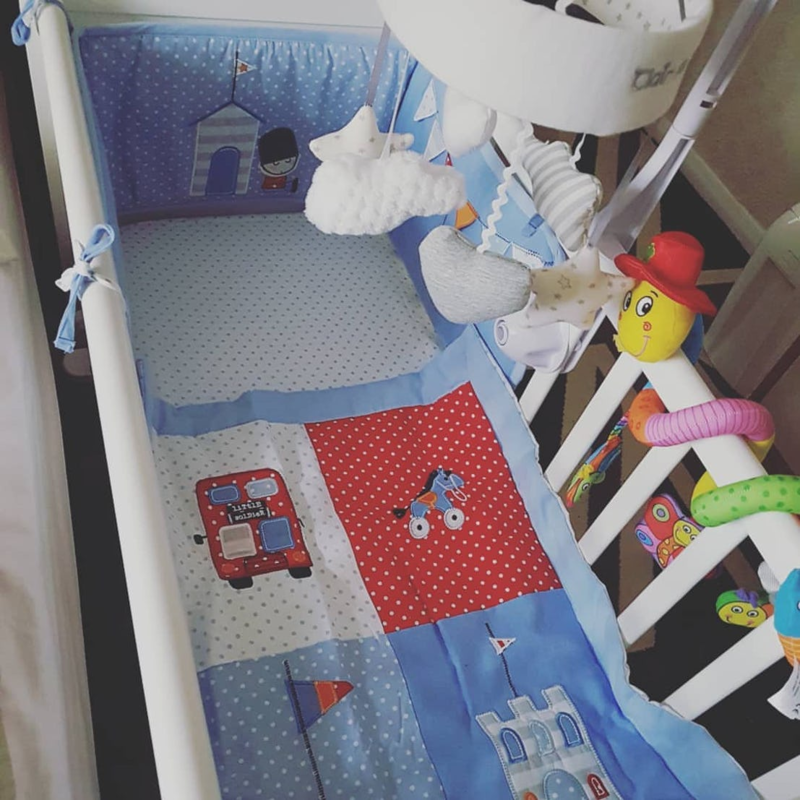 And for similar reasons, I felt that not obtaining the matching blanket to go with the changing pad cover and fitted sheets and wall hangings would probably be something I’d really regret. You hang it over the front of the crib. You take your pictures. You post them to this or that app. It’s the whole nesting thing. Then, you put the blanket away for YEARS because babies can’t sleep with loose blankets and things in their cribs or bassinets. “There should be no pillows, sheets, blankets or other items that could obstruct the infant’s breathing or cause overheating,” says AAP.org. f it’s relatively affordable, and it’s sold at Costco (or whatever other discount retailer folks frequent in your neck of the woods), and it can be used to carry a bunch of the stuff we so quickly amass around, every family on the block is going to have one. Not I! 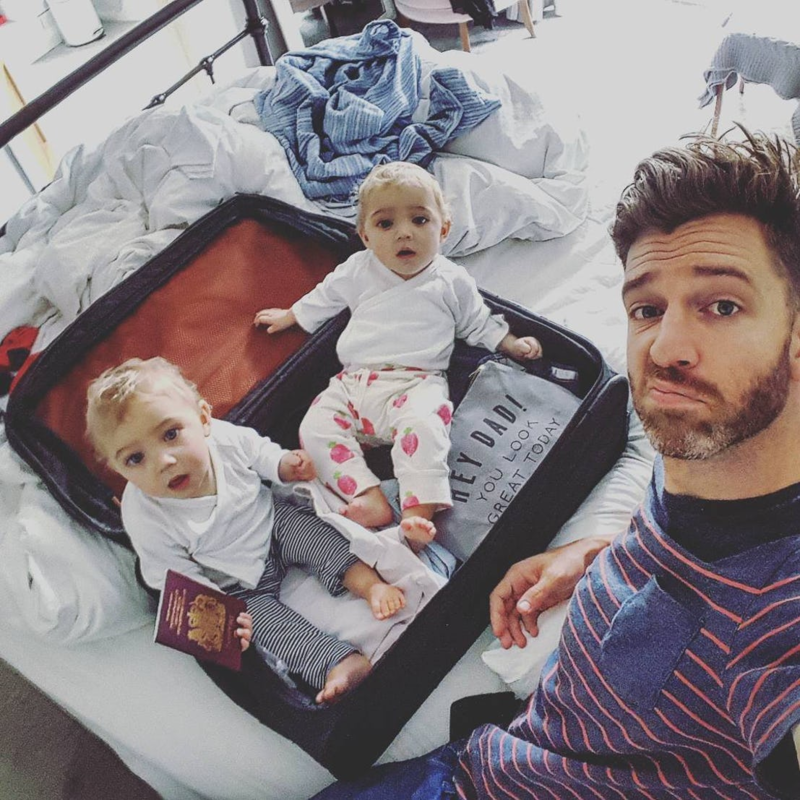 Here’s why: If I want to transport my babies around without carrying them, I use a stroller (into which they are securely strapped) or wear them in a baby carrier. Soo many times have I seen young babies just plopped into these things along with whatever various miscellany the parents want to haul around the amusement park. Also, there’s that whole tug, pull, lean aspect. Have you ever seen a dad looking comfortable pulling one of these folding fabric things around? But they fit in the back of the van, and family life demands STUFF, and so it goes.